The 2012 wedding season has officially begun. Scott Campbell Photography started out the wedding season with a bang, photographing Sara & Davíd‘s (both internationally acclaimed opera singers) Pebble Beach wedding. 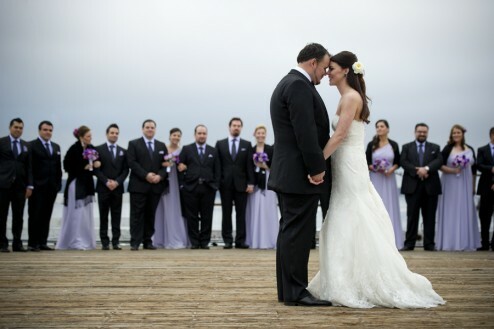 The day began at the Inn at Spanish Bay, with the bride and groom preparing in their respective rooms. After the reveal, the wedding party made its way to the Church in the Forest, where a beautiful ceremony was held. Finally, Sara & David wrapped the day up with a reception at the Beach Club. San Francisco’s Pop Fiction set the tone for a fun night with a range of excellent covers, and later on Sara & David even got on stage and sang to each other. Also be sure to check out the Sleeklens graduation invitation templates!